Tohru Inaba has always dreamed of living a co-ed life. That’s why, when he finally managed to transfer into the renowned Rintoku Academy, he immediately fell head over heels for two Sakuras! 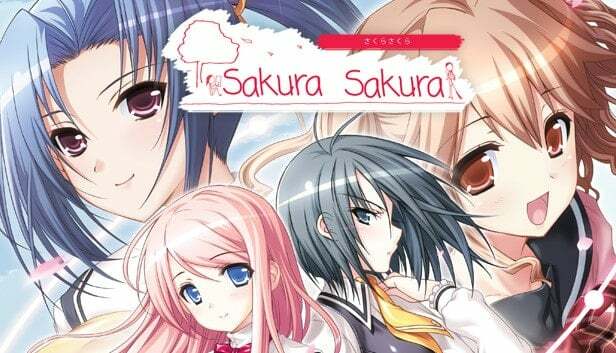 Nanako Sakura’s classes are strict, but at home, she turns into an overbearing mother. Sakura Kirishima may seem cold and unfriendly, but she is always ready to lend a helping hand as the class representative. These two girls are outwardly indifferent to Tohru, but put the three of them together and sparks begin to fly. In the sakura-colored season of spring, two fussy Sakuras have been caught in a light-hearted love triangle. Naoki Fuse, the self-proclaimed best friend, is always ready to tease Tohru about his situation with the two Sakuras. But, unbeknownst to him, he is one side of yet another light-hearted love triangle. Akira Nitta has been Naoki’s friend since before they could read and write, and is now finally living under the same (dorm) roof as him. Kurumi Tachibana used to be Naoki’s MMO raiding partner, but they were separated before she ever got a chance to meet him in real life or tell him how she felt. Akira and Kurumi have Naoki stumped for the first time in his life. And so, Tohru finally gets a chance to see things from the other side. The curtains rise on this desolate showdown for love.